For those looking for early or late season skiing vacations, high-altitude ski resorts are the best bet. High-altitude skiing resorts almost always have enough snow, even before the season begins and after it ends. The alpine valleys have several skiing resorts at high altitudes which are fairly snow-sure, and the snow stays longer even when the temperatures begin to thaw. The spectacular La Plagne skiing region is located in the Tarentaise Alpine valley, at a height of 1970 metres (going up to 3416 m), and has more than 100 square km (39 sq mi) of skiing area spread across Aime, Macot-la-Plagne, Champagny-en-Vanoise and Bellentre. It has eleven villages, each of which functions like a mini-resort. The region has a wide variety of skiing options, particularly at the higher altitudes. It caters to beginners as well as experts, and is known for off-piste skiing. Experts enjoy the nearly-vertical drop off the Bellecote Glacier (at 2,000 metres). Snowfall is fairly certain, and there are cable cars that take tourists to the nearby Les Arcs. There are also many childcare and kindergarten facilities, particularly evident at thechalets in La Plagne that abound. 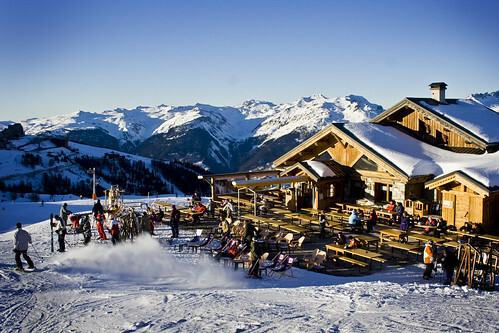 At 1860 metres, the Alpe d’huez in the Central French alps, is a popular choice among experienced skiers and novices alike. It gained popularity when it hosted the 1968 winter Olympics, and is today one of the world’s largest ski resorts, with 294 km of skiing tracks, and more than 80 ski lifts. It has some very easy slopes, which are preferred by beginners and hobbyists. Many resorts have been set up in the area, and it now boasts of good intermediate and advanced trails; being at a high altitude, it draws tourists who are into steep skiing. The longest ski trail on this region measures about 16 kilometres – one of the longest in the Alps. Apart from being a popular skiing region, it is also known as an excellent cycling trail, having hosted some stages of past Tour De France championship. 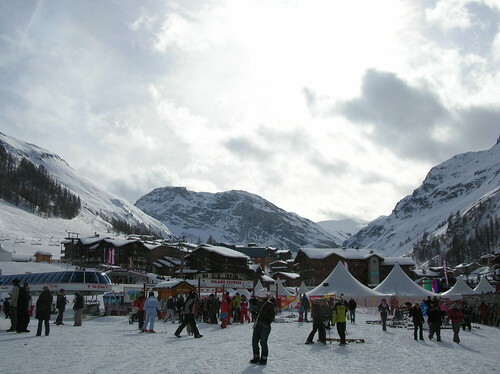 Val d’Isere in South Eastern France is known for its dense concentration of skiing resorts. It is located at a height of 1850 metres (with pistes going up to 3,550 metres), and heavy snowfall which makes for a great skiing experience. The region has pistes spread across a large region, and which cater to skiers of different experience levels. It is known as one of the best ski resorts for expert skiers. The ski runs for beginners are gentle and easy, and are not overcrowded – so it isn’t a bad place to start! Most of the region is pedestrian-only, and tourists can explore the region and look at the traditional chalet-like architecture that gives it an old-world charm and feel. Ski season runs from November to May – although summer skiing is available on the Grande Motte Glacier above neighbouring Tignes. The restaurants and nightlife offer tourists many options, making it one of the best locales for a great vacation. Expert skiers will be spoilt for choice, as these high-altitude skiing reading offer plenty of pistes to choose from. For beginners though, thorough research on the pistes is advised before choosing the right location – as some may require some more testing descents from altitude. That said, the French Alps have, arguably, the finest resorts in the world – so simply spending a little time there is often a pleasure in itself. This artlicle was brought to you by VIP SKI – expert providers of luxury ski holidays. 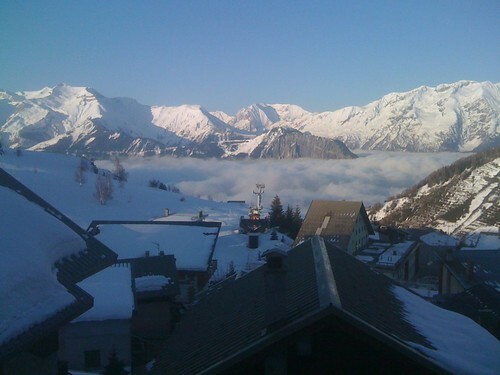 Visit their website for chalets in La Plagne and other locations across France and Switzerland.